For All Neptune's Harvest Products. 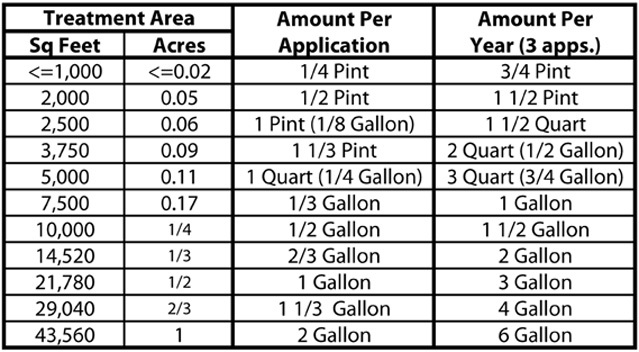 For most commercial applications including field crops, nursery plants, trees and flowers or orchards, we recommend applying 2 to 2.5 gallon per acre (6 to 8 ounces per 1,000 square feet) 3 or 4 times a season for a total of 6 to 8 gallons per acre per season (18 to 24 ounces per 1,000 square feet). It is always recommended to apply less product more often; but if that is not possible more product may be applied over fewer treatments to reach the above totals per growing season. * To maximize the efficiency (cycling, retention and delivery) of the nutrients in the Neptune's Harvest products (prebiotics), we suggest mixing with Quantum Growth probiotics. Amazing results will be attained! 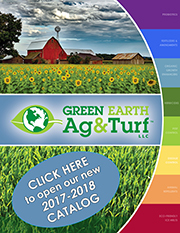 Turf: Use 2 gallons of concentrated Neptune's Harvest mixed with sufficient water to cover 1 acre (6 ounces per 1,000 square feet). It is recommended to treat a total of 2 to 3 times per year. Drip Tape or Irrigation: Use 1 ounce per gallon of water weekly. Flush lines when done. House Plants: Use 1 tablespoon per gallon of water every 2-3 weeks. Do not over-water. Outdoor Gardens: Use 1 ounce of product per gallon of water. Feed vegetables, flowers, trees and shrubs every 2-3 weeks. Apply until soil is saturated or as a foliar feed until leaves are wet. Hydroponics: As a fine mist foliar, feed plants directly at a rate of 1 ounce per gallon of water once per week. To feed directly in the reservoir (or drench) use at a rate of 5ml (1 teaspoon) per gallon of water once a week or at water changes, whichever comes first. • Mix or stir the product well before using. • Each gallon of Neptune's Harvest should be diluted with a minimum of at least 10 gallons of water. • Do not store diluted product; mix fresh every time. • Fish and kelp help to retain nutrients in the soil longer, you should allow for 25% standard input reductions. • In high heat and sun or for foliar applications, apply diluted product early or late in the day.